The mission of Active Transportation Alliance is to promote walking, bicycling and public transit to create healthy, sustainable and equitable communities. This Chicagoland is home to a multitude of transportation options that enable all residents to easily and safely reach any destination. Our 20-year Vision outlines our strategies, outcomes and benchmarks. We envision the region with half as many crashes and where half of all trips are made by walking, biking and transit. We build a movement by growing our loyal membership base, engaging generous donors and tireless volunteers. 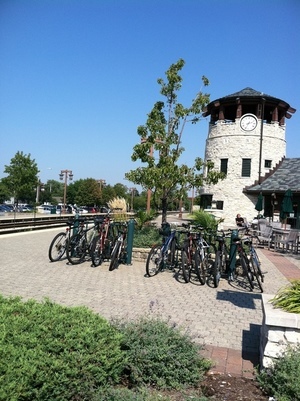 We host fun events, like Fifth Third Bike the Drive and other rides that celebrate active transportation. We work with you to make your community a better place to live and play. We work in Springfield and D.C. to build support around legislation that prioritizes and protects bicyclists, pedestrians and transit riders. We make it easier for people to be active with programs like Safe Routes to School and through education programs. We promote physical activity in safe spaces where people are prioritized. Open Streets and neighborhood bike rides get people moving right in their front yards. If you build it, they will come. We are busy building. Active Trans staff is routinely hired by cities, large and small, to develop bike and pedestrian plans according to their residents’ needs and desires. We advocate for more trails, for more reliable transit service and better sidewalks. The Active Transportation Alliance’s Strategic Blueprint outlines the organization’s path for improving walking, biking and public transit for the Chicago region during the five-year span of 2017 to 2021.